We present concept options through a variety of materials. Options get mixed, mashed, merged, refined, revised & edited to create the exhibit direction. Our clients use concept packages to generate enthusiasm for a project, raise funds, get approval, or as simply a step on the road to creating a fabulous exhibit. We don't really like to see our designs become squished due to lack of space--so we start there. Do exhibit elements fit where they should? And is there still room for visitors to enjoy them? The sketches are the fun part--and we do them in a variety of ways. 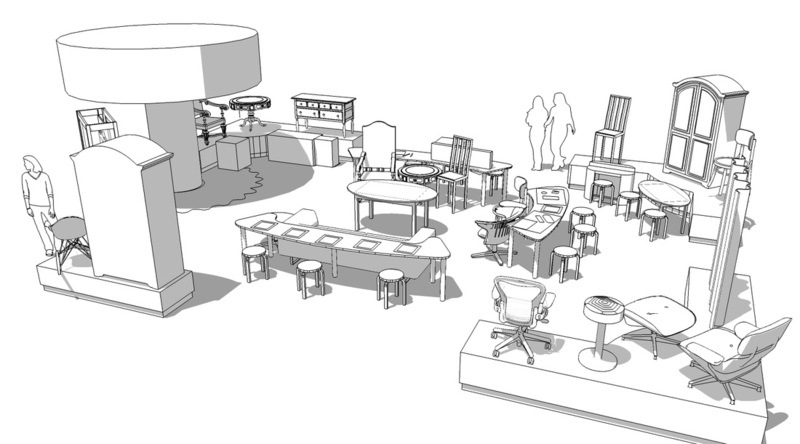 From SketchUp Models to hand-drawings, we show what your exhibit might look like, and how much fun visitors will have with it! Not visual? Not a problem. Our written exhibit descriptions set us apart from others. We craft words that help clients understand what visitors will see, feel, think & learn while at the exhibit. 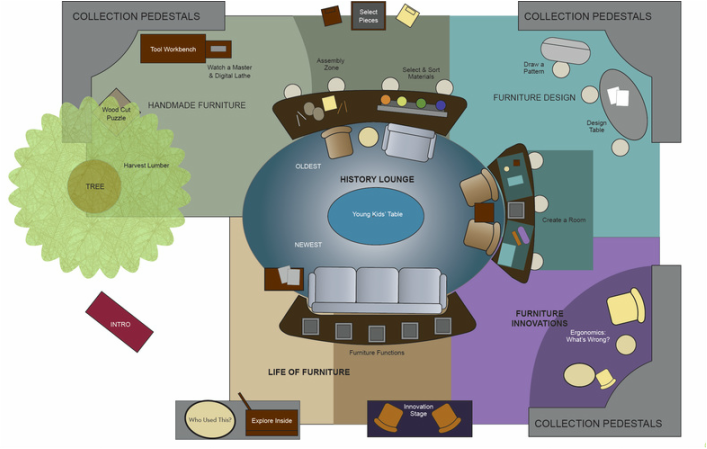 "The center of the Furniture Area features a lounge, where visitors relax in a timeline of period furniture, while browsing books, magazines or tablets. 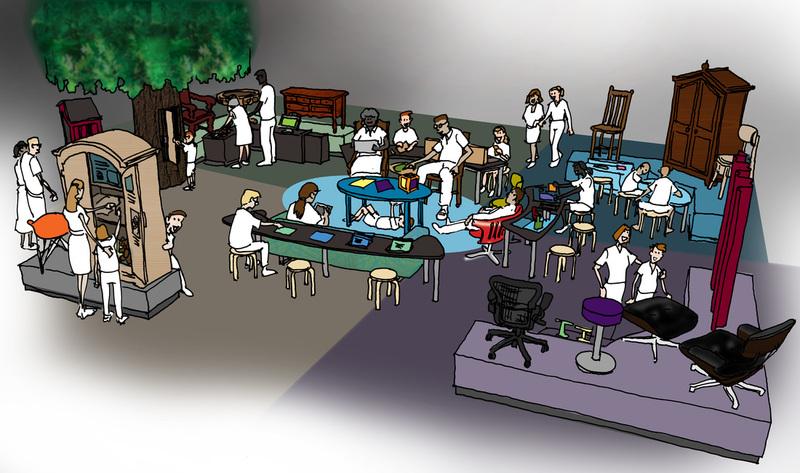 Surrounding the central lounge are a variety of hands-on activities that are aligned with the chronology established in the central lounge. Visitors will assemble wooden furniture, learn about innovations in design & function, as well as reflect on the life-cycle of furniture pieces."